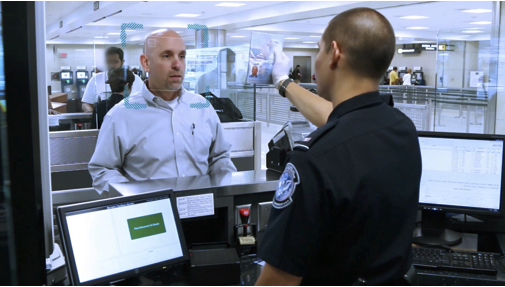 were first asked a series of demographic questions, followed by questions related to their satisfaction and how factors such as the entry process, inspection area, and CBP officer interaction influenced their travel experience. The survey-takers found that 92 percent of arriving air travelers were satisfied with their general experience, and 89 percent actually felt welcomed to the United States. An additional 97 percent of the travelers surveyed felt that their U.S. entry process met their expectations. CBP, of course, was particularly interested in how these arriving air passengers graded their interaction with law enforcement personnel. Overall, 88 percent were satisfied with their interactions with a CBP officer, with the highest numbers associated with officer processing efficiency, clear communications, and professionalism. A majority – 51 percent – of the arriving passengers surveyed utilized Automated Passport Control kiosks while 28 percent used the inspection booths. Approximately 20 percent were Global Entry members. Traveler feedback indicated that these numbers might increase through improved accessibility and functionality of the kiosks. Only a small percentage of arriving passengers used the mobile app. This finding indicated a need to improve traveler awareness of this convenience, coupled with an increased processing speed. A significant number of travelers felt that their arrival experience could be improved by even further automation. The survey found that a majority of the travelers, as might be expected, fell between the ages 25-54. More than a third were foreign citizens and 74 percent were primarily English speaking. 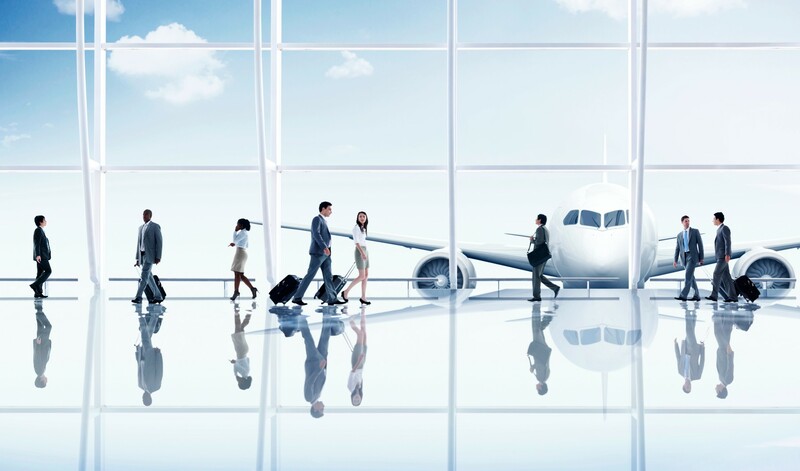 Most were traveling for pleasure or other personal reasons; 27 percent were business travelers. 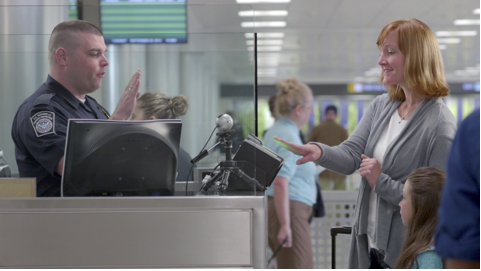 In addition to wait time, a friendly officer, a welcoming and well-ordered inspection area were the primary attributes that increased traveler satisfaction. It was only natural, perhaps, that travelers who experienced shorter wait times also found friendlier CBP officers. On the other hand, the more welcoming that CBP officers can be, the more likely that even longer wait times will feel shorter than they really are to arriving air passengers.